A group of Urartu rock caves found in Erzurum province. Alpaslan Ceylan, an academic member at Atatürk University's Ancient History Department who conducts works in order to determine historical and archaeological centers in the eastern Anatolia region, has brought some new Anatolian history to light. Together with his team, he has revealed many historical works, documents and archaeological findings that were about to be lost if it were not for their 20-year study. Theirs is the most long-term historical-archaeological work in the region and it started nearly 20 years ago across the region with the contribution of Recep Yazıcıoğlu, Erzincan province's governor at the time. Alpaslan Ceylan with the book "Eastern Anatolian Research," which covers new findings from an area of nearly 50,787 square kilometers – comprising of 36 districts and 2,114 villages in Erzurum, Erzincan, Kars and Iğdır provinces. As a result of the team's detailed research and archaeological excavations, about 260 castles, 70 mounds, 12 Urartu rock caves, nine obsidian areas, 63 settlements, 10 kurgans (burial mounds) along with historical documents and archaeological findings were revealed. The new findings from an area of nearly 50,787 square kilometers - comprising of 36 districts and 2,114 villages in Erzurum, Erzincan, Kars and Iğdır provinces - were published in a book entitled, "Eastern Anatolian Research." The two-volume book, which includes master's level and doctoral work, became a source book for scientists and academics who are researching the early history of Anatolia. The work, which also serves as an intermediary for the discovery of the historical and archaeological centers in Anatolia, is of particular importance in terms of Anatolian history. Alpaslan Ceylan told Anadolu Agency (AA) that the project started with former Erzincan governor, Recep Yazıcıoğlu, who also contributed to its continuation. Noting that they aimed to finish the project in three to four years when they first started, Ceylan said, "We think we just completed 60 percent of our work now. There are many things to do. One of the significant features of this project is that it revealed historical documents and archaeological findings that were about to be lost." He mentioned that they focused on eastern Anatolia in their work as it is an unexplored region. "For me, scientists who conduct this kind of research should not sit at the table. Science is in our country, we need to search for it, visiting these places. From that day to the present we have been visiting and searching. The region has never rejected us. We come back with rich findings every year," he continued. Ceylan pointed out that the rock paintings are extremely important in terms of revealing Turkish history and reported that they deal with Urartu history in their research in the region. Stressing that they found written documents in the Urartu language, Ceylan said, "We discovered Urartu epigraphs written on Urartu rocks and around rock paintings which are thought to be lost and unfindable in the world. We found elements that prove the existence of Kura-Araxes culture, the earliest Anatolian culture, in eastern Anatolia. The kurgans we found in Ardahan and Kars provinces gave very important information and took their place as stamps that will change the history of eastern Anatolia and Anatolia. These are very pleasing for us." He explained that they introduced the discoveries to the science world by publishing them. "The findings that we discovered while detecting historical and archaeological centers contributed to Anatolian history are being brought to light. One of the important features of the castles in eastern Anatolia is that they carry traces of the Bronze Age. Some of them were demolished, but we saw that new central castles, such as Hasankale and Avnik Castle, were used again in the Iron Age. We discovered many important castles in Iğdır province. The Altıntepe Fortress in Erzincan province was known as the Urartian fortress, but we also found an unknown cultural asset and settlement. Currently, there are more than 100 fortresses and settlements that we found in the Erzincan region. We also discovered rock-stepped water tunnels dating back to the Urartian period. This is an important finding that will contribute to the history of the region." He said that they discovered the borders of Urartu history and changed these borders with the Urartu castles that they have newly discovered. Ceylan added that they found new information and documents about the expanding fields of the Kura-Araxes culture, which reached from Palestine to Anatolia, as a result of their work on this culture. 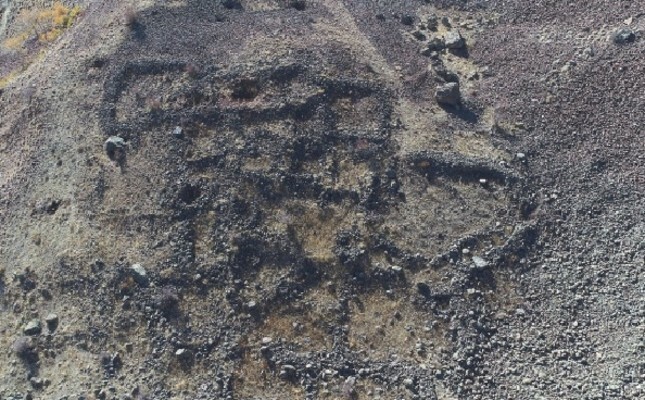 Explaining that humans, horses and dogs had been buried in Cinnik kurgan, which they found in Ardahan province, Ceylan reported, "This was a very important finding. It is the only example in Anatolia. We found Göktürk inscriptions coming from Orkhon to Anatolia at Cunni Cave. These writings could be read. Until this period, rock paintings, wherever they were seen, were evaluated as dating back to Paleolithic period, that is, as 10,000 to 15,000 years old, but we know recently that they are not. In the Kağızman district of Ağrı, we discovered texts written with runic letters belonging to the Scythians, which is a very important discovery. I think they are one of the most important findings that change Anatolian history." Ceylan stated that they published a book from their work and continued, "The 'Eastern Anatolian Research' book was a source for more than 20 master's level and 10 doctoral studies. This research is used as a guidebook in not only Turkey but also in Iran, Azerbaijan, Georgia, Australia and Japan by scientists conducting work on Anatolia. The two volumes of the book are now the masterpiece in defining Anatolia. This book is the source of reference for every scientist and academic who conducts research on the early history of Anatolia in the world of science."